***** "Fast-paced, terrifyingly believable, chilling at times... the kind of book that's hard to put down"
***** "I admire any author who can hold my attention so thrillingly from beginning to end"
Genuinely LOVED this book! Bought for a holiday read and couldn’t put it down. Outstanding thriller, Salter’s characters got right under my skin, and he brings to life a side of the digital world that could really threaten any of us. A must read. Up there with Joseph Finder and Harlen Coben. I loved the way it took you to a place that was so dark you didn’t think it could get any worse…and then off it goes again while circling back round…can’t say anymore without giving it all away so just get it and enjoy it. Brilliant. Would be an amazing film! Thrilling. I haven't read anything recently that was really nail biting like this. It was exciting, current, twisted, but not in an offensive way. Excellent read. Well written; full of twists and intrigue. Makes you realize just how easy it would be for someone to cyberstalk you! Loved the Twists and Turns. A real page turner and somewhat frightening in its take on technology. I couldn't put this one down. What a great read. Cyber crime to the terrifying extreme! Absolutely amazing, fast paced action. I’ve read a lot of psychological thrillers, but never one exactly like this. The part where ... was BRILLIANT! I was feeling totally relaxed that ... and then Boom! 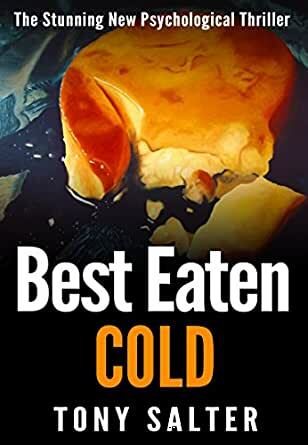 Best Eaten Cold is Tony&apos;s second novel. His debut novel, The Old Orchard, will be published in September 2017. This debut novel by Tony Salter is a beautifully crafted thriller. 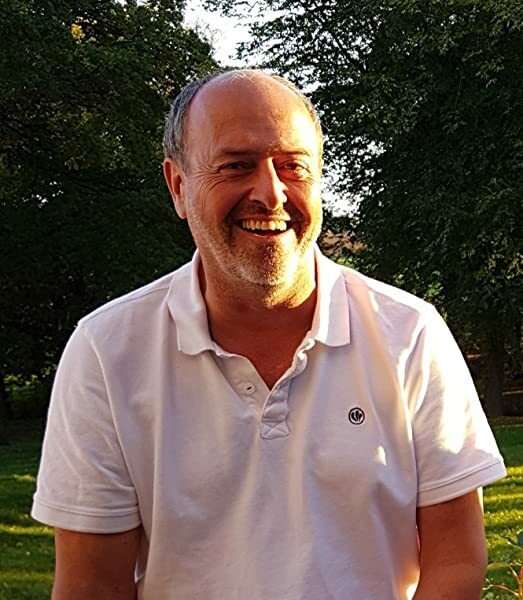 Salter adeptly uses the reader's own experiences with today's advancing technology and the inherent threat we all face as potential victims of online crime to get our hearts racing as we each envision ourselves in Fabiola's shoes. With no fanfare or obvious duplicity, the daily activities of life start creating fissures and eroding Fabiola's comfortable and easy life. As she struggles to make sense of what is happening to her, those around her start questioning her stability. I sat on the sidelines of her life, feeling the angst and tension build, wanting to warn Fabiola of what was coming at each twist and turn. Salter's writing style is engaging, fresh and compelling. I encourage you to grab a hold of this book, find a comfortable chair and get ready to feel the chills that come along with the stark realization that this could happen to you! 2.0 out of 5 starsThe Premise was Great But. . .
A young wife and mother is stalked by a former lover, but it consists of changing appointment dates on her computer and stealing a parking ticket? From that, she commits suicide because her family believes she's mentally ill rather than consider someone hacked her Cloud? Sorry, great writing but not believable. Then we jump 25 years in the future and the same stalker is intimately involved with the baby she had at the time of her death. Sorry, you totally lost me there. The book also ends with a cliffhanger - I'm not coming back to see how this resolves. It was just not believable. I really liked this book, clever, unpredictable and original. A great read. You will never think about the technology around you in the same way. 4.0 out of 5 starsWhy only 4 Stars??? Let's see shall we!! This is a fairly good book; Part 1 & Part 2, for me were NOT equally good.. I understand the author was writing so as to convey how our current appetite for multimedia can so dramatically be used against us. However, he made his point midway through Part 1 and a lot of what continued, in my opinion, was redundant and unnecessary to the story. At minimum, the author could have condensed so as not to belabor and add tedium.. Surprisingly , Part 2 of the book was written as though another writer had taken up the story. Part 2 of this book earned 3 of the 4 Star rating. This book could've been a best seller. If I hadn't persisted, in what was becoming tedious, I wouldn't have found the hidden gem within the book. I will look for other books by this author, but I'm not certain I will be as patient in searching for the hidden gem. I expected more after all the accolades. The first half meandered rather slowly but kept my interest, laying the groundwork for the protagonist, Fabiola, to reflect back before she married her husband and had a child. She had been in a five year relationship with another woman. Her husband didn't know this either. She is happy now but keeps getting weird threatening emails and texts that disappear and can't be traced. It is driving her crazy because no one seems to believe her. She questions her memory and sanity, as does her husband after awhile. I felt that she gave up too easily. It was very sad in parts, as the reader roots for Fab to fight back. The second half where Fabiola's son is grown up was a futuristic look at technology, but not that mind-blowing. The first part of this section didn't keep me that interested in how the company and the woman he works for thrived in business. He is living with the woman who is his boss. It didn't take me very long to figure out who she was. It got more interesting when the boy-toy figured it out too. The writing style is different and the concept original. The side characters are also relatable. All in all, not a bad read, but not really what I was expecting... and what's with that title? I never did figure that out. 5.0 out of 5 starsA real page turner. Darkly prophetic and terrifying, this neatly constructed tale oozes with style. A great read - I couldn't put it down. 2.0 out of 5 starsWhat eaten cold? The title makes no sense. Didn't love this book. Didn't like the characters. Reader knew from beginning what was happening and who was doing it to the main character so....no mystery there. It was in two parts. Hard to get into part two. It got better but seemed like some information was just left out. The last 20% of the book was the best, but couldn't wait to finish it so I could start a different book. The book was ok, probably won’t read more from this author. I dislike profanity and without the profanity the outcome was the same. Not sure why someone with writing talent needs to use profanity when their words could and should elicit the same reaction if chosen right. This item: Best Eaten Cold: The stunning psychological thriller you won't be able to put down.